Plaster portrait relief of William Beaumont without the text. Mounted on wood board. 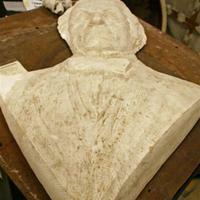 Plaster model for "William Beaumont, M.D." relief. Copper-patinated bronze versions of this work are in the collections of the Mackinac Island Museum, Mackinac Island, Michigan, and William Beaumont Hospital, Royal Oak, Michigan. 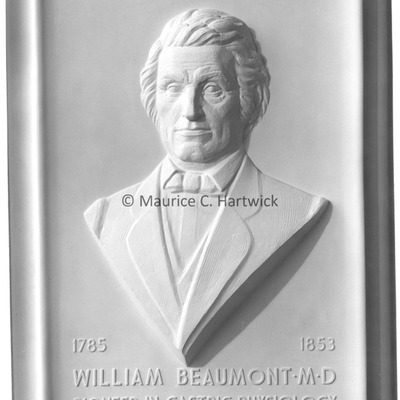 Tags: Bas Relief, Michigan, Plaster, Plaster Model, Portrait, Relief, V0303, William Beaumont, William Beaumont M.D.